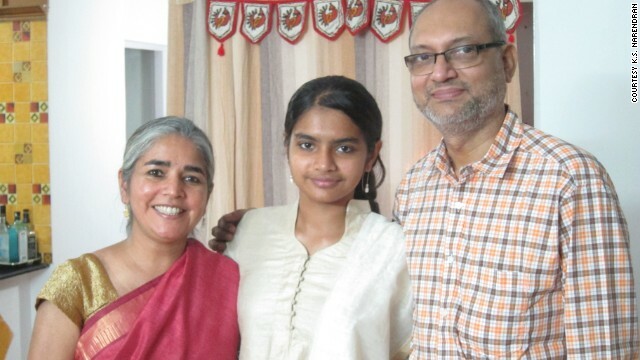 Narendran (Naren) KS, who lost his wife Chandrika on MH370, on Twitter says: Yes, give us the truth. Not too many people we know are convinced that 459 pages of the 2018 report is the sum total of all that is known regarding the disappearance of MH370. The following note accompanies his Tweet. My family and friends in India send you their greetings. Unlike previous years, I have been ambivalent about making this trip. I have searched hard to understand this. It is almost 5 years since I saw off my wife, Chandrika, and the last we heard from Malaysia Airlines flight MH370, the flight she boarded en route to Mongolia. It has been a long haul dealing with loss and rebuilding a life, a task that remains incomplete. What became clear is that lately the cloud of sorrow and despair, the listlessness with life in general, and the restlessness with the MH370 search and investigation has become less intense. What remains is the solidarity with the MH families, their loss and struggles to cope, to envision a future and reconstruct their lives. This only grows as each nuance in a shared language of loss, grief and reconstruction becomes more widely shared and understood. Among the MH families, the old have grown older. Some whose will to live was broken by irreconcilable loss believe they have nothing left to live for. Among the young, some have by now moved on to pursue studies, take up jobs, moved home, find partners, have babies, … Somethings to cheer about and remind ourselves that winter is not the only season, each day isn’t always drab, and the sky isn’t only grey. However, many among us continue to struggle while applying ourselves to the chores of daily existence. For all of us, knowing what happened to MH370 remains the key to unlock a part of our lives, our energies. Our prayers have remained unchanged: Find the plane. Find the passengers. Give us answers to ‘what’, ‘why’, ‘how’ and if it comes to it, ‘who’. Yes, give us the truth. Not too many people we know are convinced that 459 pages of the 2018 report is the sum total of all that is known regarding the disappearance of MH370. Those who know more but have chosen silence, if indeed there are some, will eventually die a thousand deaths each day, for guilt is a latecomer but an unforgiving squatter. It is the order of things and not what we would wish for them. In this search for the truth, there isn’t a Malaysian truth, an Australian truth, a British truth or an American one. Or (even) an Indian and a Chinese one. There were 239 passengers from 14 countries. An international mix of nationalities. A Boeing 777, an American company’s product. The incident is believed to have occurred in the Indian Ocean, in international waters. The investigation is governed by the conventions written in by the International Civil Aviation Organization. Experts from across the world when consulted or otherwise, have weighed in with their analysis and recommendations regarding the search. It is an event that concerns, every airline, every passenger and perhaps almost every family across the world exposed to civil aviation. To suggest as some do that it should be left to Malaysians to script the story and the end game does not cut ice. If anything, the fact that it was a Malaysian airline’s flight under Malaysian air traffic control and Malaysia’s leadership of the investigation places an unshakable burden of responsibility to the world at large….to persist, to mobilize the funds necessary, and to hunt for the credible evidence for further search that it never tires of reminding us as being a requirement. It also has responsibility to test the claims of those who proclaim new knowledge, new evidence and fresh coordinates, and offer a public, transparent well-argued refutation if indeed that is what will end misguided or false narratives. The best tribute we can offer to those we have lost is through demonstrating the will to find credible answers, fix the issues and assure the world that more lives will not lost in future to similar incidents. A new Malaysia under this new Government has been the source of new fledgling hope. To those who have fallen silent travelling on MH370, we remain respectful and eternally indebted for the time they shared with us. To those who have offered silent support, those who have lent their voice and those who have sent their prayers, we remain grateful. We draw strength from your little acts of kindness, words of solidarity, and your quest for the truth – whichever corner of the earth you seek it from. Questions have a way of persisting and even outliving you and me till satisfactorily answered. I go back to pick up the threads of my life in Chennai secure and with faith that one day we will know. 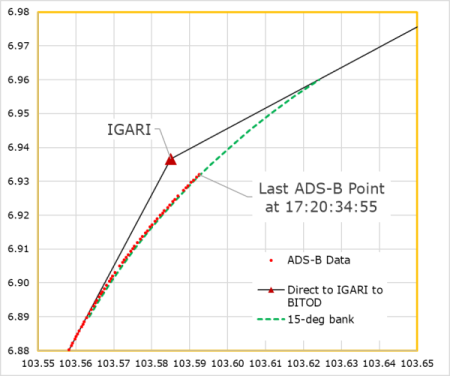 The civilian radar data for MH370 that became publicly available in April 2018 provides insights as to how MH370 was flown after the transponder was disabled around 17:20:31 UTC. After flying by waypoint IGARI and turning back, the aircraft passed to the north of Kota Bharu Airport, crossed the Malaysian peninsula in a southwest direction, passed to the south of Penang Island, turned to the northwest, and flew over the Malacca Strait. Here, we look more closely at the flight path as it flew towards, around, and away from Penang. In order better understand the sequence of inputs to the flight control system, we created a simulation using the PMDG 777 model in Microsoft Flight Simulator. In particular, we studied whether the aircraft might have been flown with the pilot providing inputs to the autopilot, and what those inputs might have been. Although we can calculate the groundspeed from the radar data, the altitude of this portion of the flight is not known. In the simulation, the flight segment near Penang was flown with the assumption of a level flight at FL340 and at Mach 0.84, and with representative meteorological data. These assumptions are consistent with the observed groundspeeds of around 510 knots. Within a reasonable range, the assumptions about altitude, Mach number, and atmospheric conditions do not materially change our observations and conclusions for this portion of the flight. In the Flight Management Computer (FMC), Penang Airport (WMKP) was set as the destination, and the procedure for an arrival to the ILS04 Runway via the BIDM1A standard terminal arrival route (STAR) was selected. The waypoints for this complete route would be BIDMO- PUKAR-ENDOR-MEKAT-KENDI-CF04-FF04-RW04. The final three waypoints are the final approach course fix, the final approach fix, and the runway threshold, in that order, for an ILS approach to Runway 04. Of these waypoints, all are deleted from the route except ENDOR and FF04. VAMPI is added after FF04. The aircraft approaches ENDOR with the autopilot engaged and LNAV selected. After passing ENDOR, the aircraft automatically turns towards FF04. After passing near OPOVI, TRK SEL of 300° is dialed with a maximum bank angle of 15°. This initiates a turn to the right at 15°. When the track of 300° is approached, the aircraft automatically rolls out of the turn and maintains this track. Once established on a track of 300°, LNAV mode is selected as the next mode. At this track angle, the aircraft path converges towards the route leg defined by the waypoints FF04-VAMPI. At about 30 NM from FF04, as the aircraft approaches this leg, the autopilot mode automatically changes from TRK SEL to LNAV, and the route leg is captured. 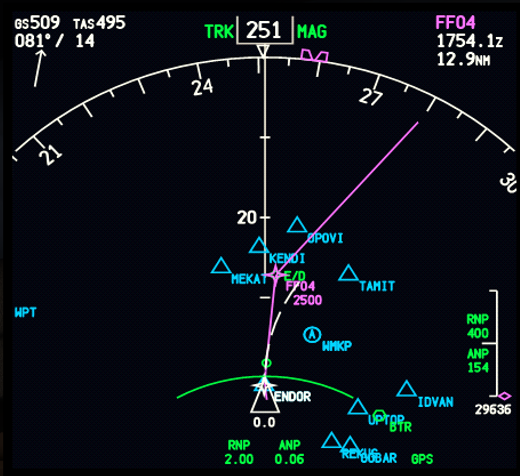 The plane proceeds in LNAV mode past Pulau Perak and towards VAMPI on the path defined by FF04-VAMPI. The next figure shows how the waypoints and route legs would appear in the navigation display (ND) in the cockpit after the aircraft had just passed ENDOR and with the route configured as ENDOR-FF04-VAMPI. 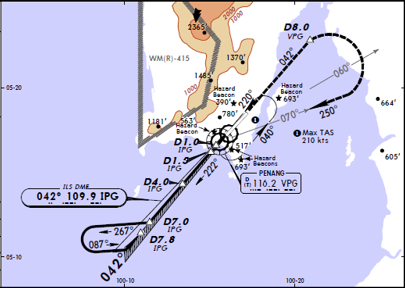 The route (magenta line) shows the path the aircraft would have followed if the autopilot remained in LNAV mode as the aircraft rounded Penang Island. By comparing the preceding figure with the one below, it is clear that the autopilot changed to a different mode before FF04 and changed back to LNAV mode when the path converged on the LNAV route about 30 NM from FF04. Navigational display after passing waypoint ENDOR. 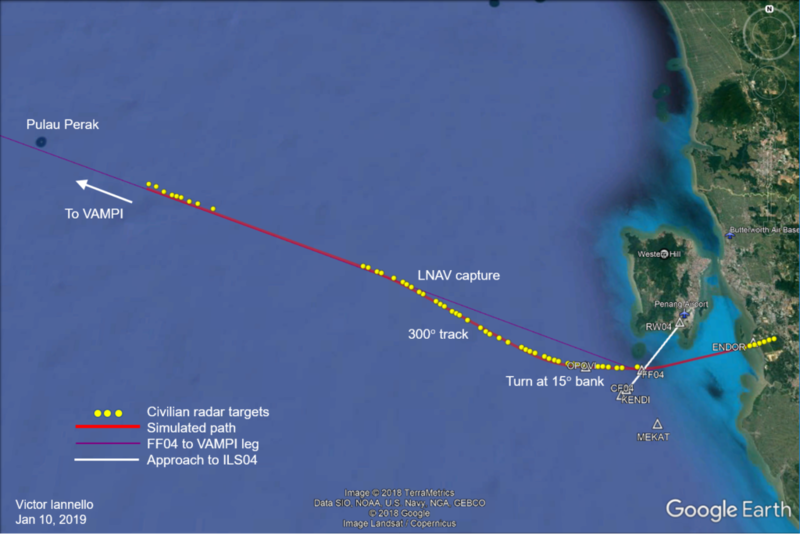 The agreement between the simulated flight path and the civilian radar data is very good, including the intercept and capture of the route leg to the northwest and towards VAMPI. 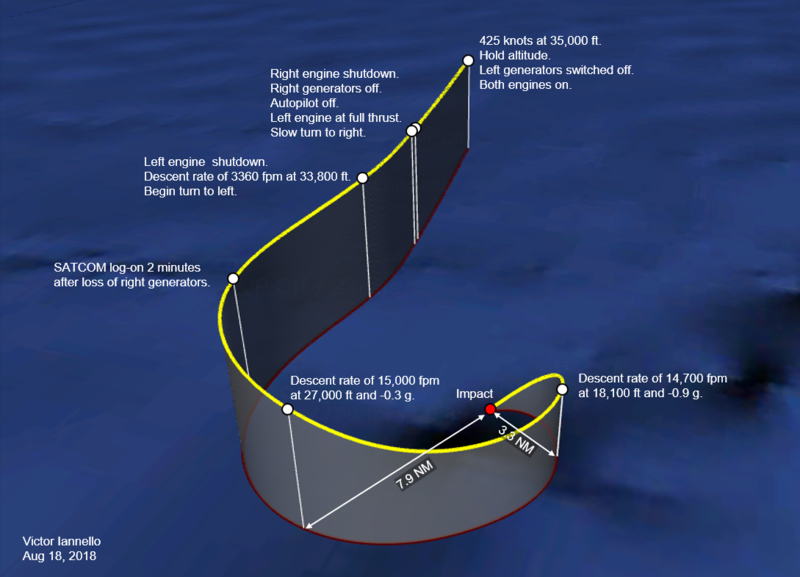 This suggests that this portion of the flight path was flown in autopilot, although it is nearly impossible to prove that the aircraft was not manually flown. While in the vicinity of Penang Island, the high measured speed, the implied high altitude, and the selection of VAMPI as a waypoint suggest that there was no true intention to land at Penang Airport. The selection of VAMPI as a waypoint while in the vicinity of Penang is consistent with the unverified military radar data that was shown to the MH370 family members at the Lido Hotel in Beijing on March 21, 2014. That radar data shows an aircraft that intercepted airway N571 at VAMPI. 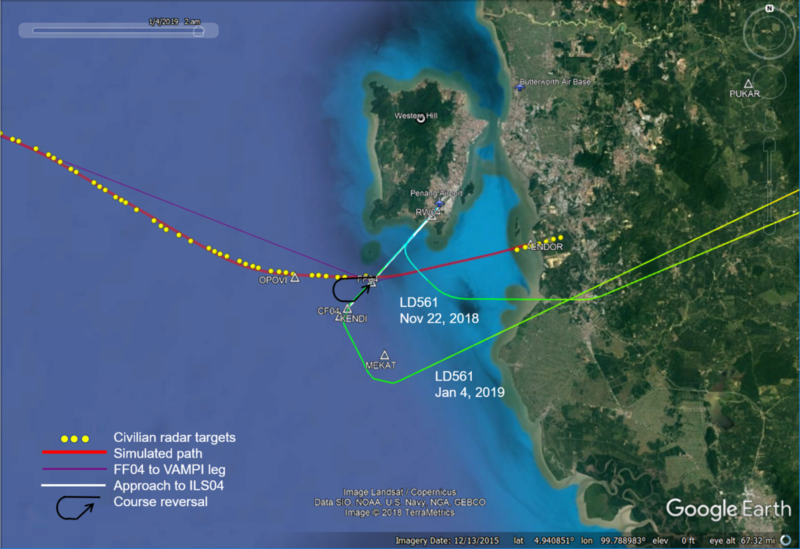 Although there was no true intention to land at Penang Airport, the flight path may have been chosen to deceive radar operators into believing there was an intention to land. In the figure below, the flight path from MH370 is plotted together with two recent Air Hong Kong flights (both LD561) for the route Ho Chi Minh City to Penang. These flight paths are representative of arrivals to Penang from the northeast. The LD561 paths do not follow the BIDM1A approach route and bear little resemblance to MH370’s path. Likely, the flight crews received vectors from Butterworth Approach to intercept and establish the final approach on the localizer for Runway 04. One of the flights was established at the final approach course fix (CF04) and the other was established only 3 NM from threshold. In the both cases, the intercept with the final approach course required a turn less than 90°. On the other hand, if MH370 had intercepted the localizer, it would have required a turn of about 135°, which would have been a very sharp turn. Airline pilot Juanda Ismail noticed that MH370’s crossing of the ILS approach occurs at a similar location and similar intercept angle to what would be flown in the course reversal procedure for ILS04. The procedure is shown in the figure below, and consists of an outbound leg to 7 NM from the threshold of the runway at a track of 222°, a 45° right turn to a track of 267°, a straight leg, a 180° left turn to a track of 87°, a straight leg, followed by a 45° left turn to intercept the inbound approach course on a track of 42°. In the figure above, this same course reversal procedure is represented by the black curve with the arrow. In the course reversal procedure, the straight leg at 267° is similar to part of the path that MH370 flew. However, in comparing MH370’s path to the course reversal procedure, it is missing the outbound leg, the 180° turn, and the final intercept. As the altitude for capturing to the glide slope is 2500 ft at FF04 (shown as D7.8 IPG in the figure), clearly there was no intention on the part of the pilot to actually perform the procedure and to land. However, it is possible that by flying an element of the course reversal procedure, there was a deliberate attempt to deceive radar operators into believing that MH370 had an intention to land. With waypoints ENDOR-FF04-VAMPI selected as the route, there is a question as to why the pilot chose to not remain in LNAV mode when approaching FF04, as this would have turned the aircraft and put it on a direct northwest path to VAMPI without the need for pilot intervention. One explanation is that once a turn to the northwest towards VAMPI occurred, it would be clear to the air traffic controllers at Butterworth that there was no intention to land. Entering TRK SEL mode and steering the plane towards OPOVI before tracking back towards the FF04-VAMPI leg delayed that discovery and also positioned the aircraft to initiate the turn further from Butterworth. Provision of approach control service (within lateral limits of Butterworth Control Zone: 5,500 ft. altitude – FL245. (elsewhere 2,500 ft. altitude – FL245). Air traffic to/from the civilian Penang International Airport (PIA) is provided by military ATCOs who have been licensed by the ATI Division develops and establishes the ANS safety standards and performs safety oversight and to ensure the provision of services to civil traffic. The rationale for such an arrangement is based on the military activities at Butterworth Military Airport (BMA) which is in close proximity to PIA, and other military activities carried out over the high seas in danger areas WMD 412A and WMD 413A (permanently established). Furthermore, the final approach segments of both the PIA and the BMA intersect. No major incident has been recorded with the present arrangement/delegation of authority. MH370’s flight path near Penang can be replicated with the autopilot engaged. The flight path near Penang is consistent with a navigation system that is fully operational. It is likely that waypoint VAMPI was entered in flight computers before crossing the approach path to runway ILS04, some 166 NM away. The flight path near Penang is consistent with the image of the military radar data in the Malacca Strait that was never officially released. It is very unlikely that there was an intention to land at Penang Airport. It is possible that the elements of the flight path near Penang were chosen to deceive radar operators into believing that the aircraft had an intention to land. I gratefully acknowledge the helpful comments and suggestions offered by fellow IG members Don Thompson, Richard Godfrey, and Mike Exner. Today Blaine Gibson and other MH370 family members delivered to Malaysian authorities five new pieces of debris that are believed to be from the missing aircraft. The parts were found as a result of a campaign led by Blaine and the families to make the residents of Madagascar more aware of debris from MH370 that has drifted across the Indian Ocean and continues to land on the shores of East Africa. Blaine has provided photographs and descriptions of the five parts, which are made available here in a zipped file. More recent high-resolution photographs are available here. The most recently discovered part (Part 5), pictured above, was found by a local fisherman this past August. 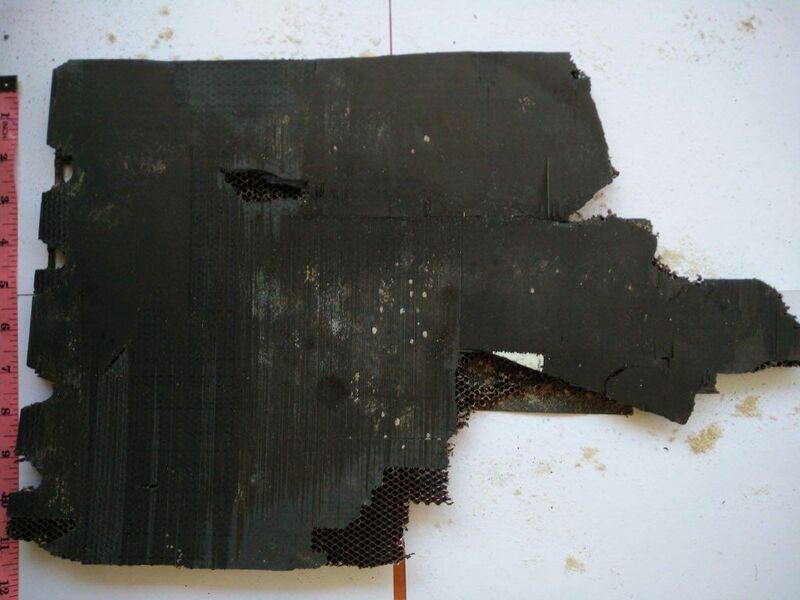 One piece of debris (Part 3) was identified by MH370 Independent Group (IG) member Don Thompson as a shattered piece of the interior floorboard of a Boeing 777. The part’s location in the B777 and the nature of the damage is consistent with a high speed impact, and therefore has probative value. IG members Don Thompson and Mike Exner assisted Blaine in identifying the floorboard piece, and Don documented his findings in a report. An important clue was the piece contained a portion of a placard with the identifying characters WPPS61. Don was able to determine that the full placard number is BAC27WPPS61. This type of placard is affixed to high strength panels of material specification BMS4-20, which is used as flooring material in passenger compartments of commercial aircraft, including the Boeing 777-200ER. Amazingly, Don was able to find a similar placard affixed to the floorboard of wreckage from MH17, which was also a Boeing 777-200ER. This leaves little doubt that the piece recovered from Madagascar is from MH370. The aircraft impacted the ocean relatively close to the 7th arc, but at a latitude further north than the area previously searched. The aircraft impacted the ocean at a latitude previously searched, but farther from the 7th arc than previously assumed. The aircraft debris field was in the subsea area previously scanned by sonar, but was either missed or misidentified. Sources close to the previous search effort believe (3) is very unlikely, as there was a thorough review of the sonar data by multiple parties with high levels of experience, and because any “points of interest” were scanned multiple times to ensure the resolution was adequate to make a determination with a high level of confidence. When considering the satellite data, the final two BFO values at 00:19 UTC are consistent with an aircraft at an increasingly high rate of descent. The new debris and some of the previously recovered debris also suggest that the aircraft impacted the ocean at high speed. That means that (2) is possible only if the aircraft first was in a rapid descent (producing the final BFO values), and then the pilot skillfully recovered from the rapid descent and glided some distance away from the 7th arc beyond the width of the subsea search, and then later the aircraft again descended at high speed and impacted the sea (producing the shattered debris). This sequence of dive-glide-dive is considered by many to be a very unlikely sequence of events, although it cannot be completed dismissed. The part recovered in Madagascar in August 2018 was the latest in a series of finds that began with the discovery of the flaperon on Reunion Island in July 2015. Because of the wide range of discovery times, and because there is an undefinable delay between when a part arrives on a beach and when it is discovered, it is difficult to use the timing and location of debris discoveries to precisely pinpoint where to search for MH370. Finally, the new debris finds illustrate the critical role of independent investigators in the search for MH370, and one investigator in particular. 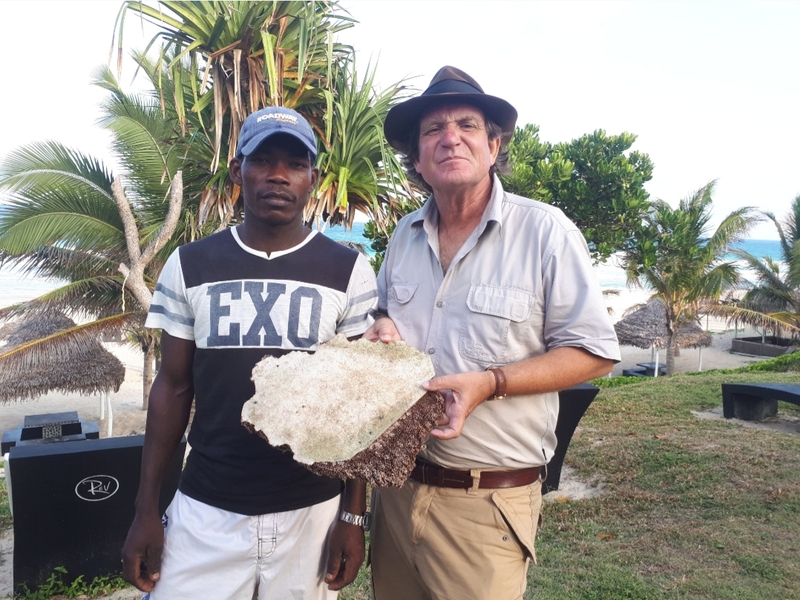 The local communications campaign to educate residents of Madagascar about debris washing ashore was spearheaded by Blaine Gibson with the help of some of the MH370 families. Blaine has also done a commendable job of developing a local network to help recover the debris after discovery. We have to wonder if additional debris is sitting on the shores of other countries like Tanzania, Kenya, and Somalia, where there were no similar campaigns to alert and organize the residents. 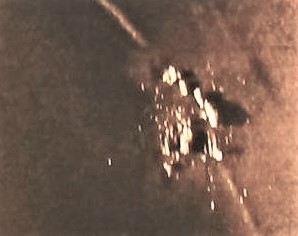 Sonar image of the debris field of the ARA San Juan (Armada Argentina). The debris field is centered at (-45.9499,-59.7730). Meanwhile, after analyzing the hydro-acoustic data from CTBTO sensors that was collected on Nov 15, 2017, the hot-spot was estimated to be centered at (-46.12,-59.69). That’s a distance of only 20 km, which is an impressive demonstration of the capabilities of the hydro-acoustic analysis. There was a test explosion on Dec 1, 2017, that was used to calibrate and verify the position estimation model. The position error of the test explosion was 37 km. Therefore, the position error for the debris field was well within what was expected based on the test explosion. An interesting description of the CTBTO’s hydro-acoustic analysis is presented here. Unfortunately, the acoustics generated by the impact of MH370 on the ocean surface would not propagate along the “deep sound channel” (DSC) the way an underwater acoustic event does, so the impact likely was not detected by CTBTO sensors. The San Juan’s debris field was detected earlier this month only after an AUV mission was conducted in a deep trench that was previously scanned from a higher altitude in September. The ability to skim about 100 meters above the challenging surface contour allowed the side scan sonar sensors in the AUV to collect data at the proper altitude to achieve the required image resolution. Because of its limited ability to glide above steep slopes, this resolution would have been very difficult to achieve using a “towfish”, which is a cable-towed underwater vehicle that is similarly equipped with side scan sonar sensors, but is much more limited in maneuverability than an AUV. The initial seabed search for MH370 was conducted by the vessels Fugro Discovery, Fugro Equator, and GO Phoenix, each using a towfish. These vessels scanned about 120,000 square kilometers of seabed using this technology. Based on the failure of OI to detect the San Juan’s debris field until an AUV mission was conducted in a trench, we have to at least consider the possibility that that the debris field for MH370 was passed over in the initial search but was not detected due to challenging terrain. In the coming weeks, we’ll learn more about what worked and didn’t work in the search for the San Juan. That knowledge should be applied to MH370 to determine if we can confidently eliminate all of the seabed that has been previously searched. 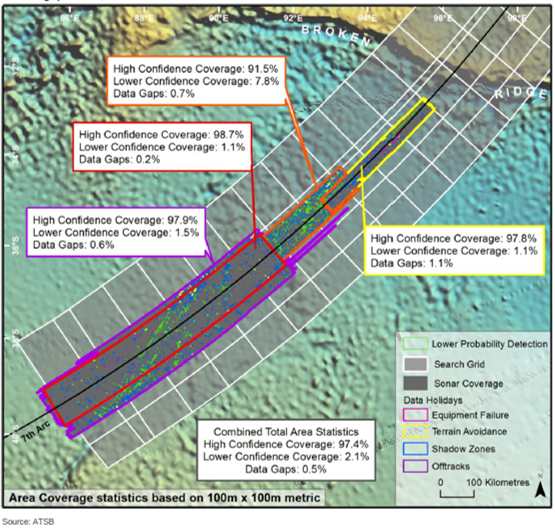 The ATSB did provide statistics for estimating the confidence of detecting MH370 in the 120,000 square kilometers that were initially scanned primarily by towfish. Those statistics are presented in the figure below. About 97.4% of the total area had a detection confidence of 95%, based on the ability to detect a debris field with dimensions of 100 meters by 100 meters. About 2.1% of the area had a detection confidence of 70%, mostly due to difficult terrain, environmental conditions, or degraded data. About 0.5% of the area had no data. The aggregate probability to detect MH370 in the 120,000 square kilometers is therefore about 94%. Although this is high, it is not 100%. Don Thompson and Mike Exner provided helpful comments for this article. Area coverage statistics for the ATSB seabed search (ATSB). Lion Air flight JT610, with 181 passengers and 8 crew, was climbing out of Jakarta on a flight to Pangkal Pinang (Indonesia) when control was lost at around 5,000 ft. Soon after, the Boeing 737-MAX 8 aircraft crashed into the Java Sea northeast of Jakarta. Although we don’t know the cause of the crash, there were some anomalies noted on the previous flight related to sensor disagreements for speed and altitude which required maintenance. Some suspect that these previous issues might have been related to the crash. Luckily, the flight data recorder (FDR), commonly known as a “black box”, was recovered, and the approximate location is known for the cockpit voice recorder (CVR), the other “black box”, so there is a good probability that the cause of the crash can be determined. Investigators are now claiming they have recovered 69 hours of data from the FDR, which would be sufficient to analyze JT610 as well as the preceding flight which had the anomalous behavior. The last ADS-B data that we have from Flightradar24 has the aircraft at an altitude of 425 ft, a groundspeed of about 360 knots, and a descent rate of 30,976 fpm. That translates to an approximate true airspeed of 472 knots and a descent angle of about 40 deg. That suggests the aircraft impacted the sea with very high energy. Similarly, the final BFO values for MH370 suggest a downward acceleration of about 0.7g over 8 seconds, reaching a descent rate of about 15,000 fpm. Unless a pilot was at the controls and skillfully recovered from this descent, MH370 also impacted the sea with high energy. 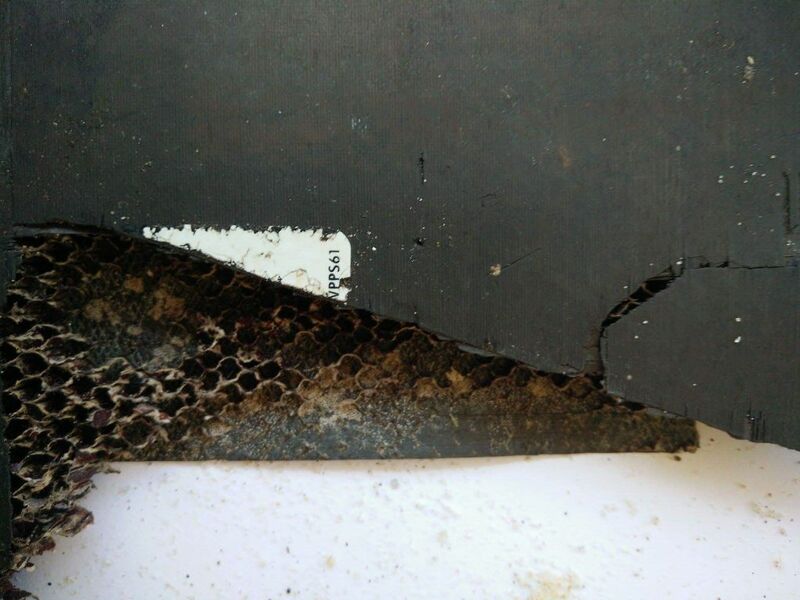 Therefore, the debris produced from the JT610 crash gives us some indication of the types of debris probably produced from the crash of MH370. Indonesia’s National Search and Rescue Agency (BASARNAS) is in charge of the rescue and recovery operation for JT610, which is in water about 100 feet deep, with efforts reportedly hampered by strong underwater currents and limited visibility. Already one volunteer diver has lost his life while recovering body parts. The video at the top shows floating debris for JT610. If the objects shown are truly representative of the main field of floating debris, it is evidence that a high speed impact produces only small floating parts spread over a fairly limited area. Now admittedly, a B777 is considerably larger than a B737, and the floating debris field should be easier to find. However, the surface search for MH370 in the Southern Indian Ocean (SIO) from the air began weeks after the disappearance, and the dispersive effects of waves and currents in the SIO are strong. 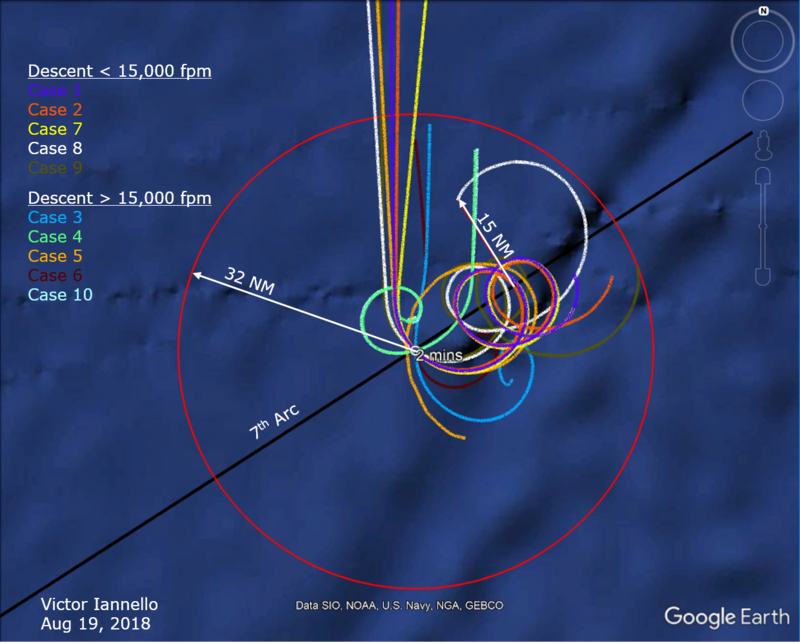 The combination of a dispersed field and small parts might explain the failure for the air search to detect floating objects along the 7th arc. The small size of the floating parts might also explain why satellite images along the 7th arc have not spotted aircraft debris. Despite the likelihood of small floating debris, the underwater searchers for MH370 expect to find a fairly substantial debris field (bigger than 100 m) and substantial, distinguishable objects such as the landing gear and engines, consistent with the debris field of Air France 447. This is also consistent with the parts of JT610 that have already been found on the seabed. 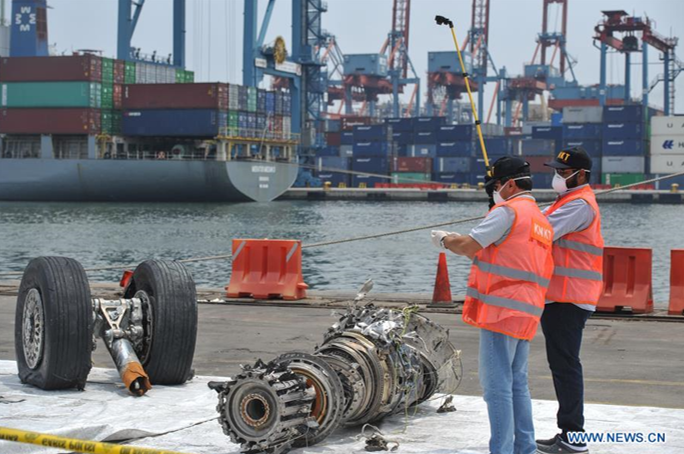 For instance, the picture below shows an engine and part of the landing gear of JT610. To locate parts on the seabed, BASARNAS is using a combination of technologies, such as multi-beam echo sounders (MBES), side-scan sonar (SSS), magnetometers, and remotely-operated vehicles (ROV). The SSS technology has been the workhorse for the subsea search of MH370, used in both the towed vehicles and the underwater drones. The video below shows divers helping to retrieve debris from the seabed. The debris recovered from the crash of JT610 helps explain why no MH370 floating debris was spotted by air and by satellite along the 7th arc, and why we remain hopeful that it will be detected on the seabed with sonar sensors once the correct search area is selected. Here’s a Wall Street Journal story that discusses the stall-protection system that likely led to the crash of JT610. The automated stall-prevention system on Boeing 737 MAX 8 and MAX 9 models—intended to help cockpit crews avoid mistakenly raising a plane’s nose dangerously high—under unusual conditions can push it down unexpectedly and so strongly that flight crews can’t pull it back up. Such a scenario, Boeing told airlines in a world-wide safety bulletin roughly a week after the accident, can result in a steep dive or crash—even if pilots are manually flying the jetliner and don’t expect flight-control computers to kick in. That warning came as a surprise to many pilots who fly the latest models for U.S carriers. Safety experts involved in and tracking the investigation said that at U.S. carriers, neither airline managers nor pilots had been told such a system had been added to the latest 737 variant—and therefore aviators typically weren’t prepared to cope with the possible risks. Earlier 737 versions have different stall-protection systems, that don’t automatically drive down the nose even when other functions of the plane’s autopilot are turned off. Yet operation of those older systems was highlighted in training over the years, and pilots had to memorize steps to counteract potentially dangerous unintended consequences. MAX 8 training materials don’t include a requirement to memorize the steps to turn off the stall-protection system. That message was more detailed than the bulletin Boeing voluntarily issued earlier, alerting pilots about the potential hazard—and touching off debate over the stall-prevention system’s design. Within hours, the FAA followed up with its emergency directive mandating changes in flight manuals. While all other countries have stopped investigating, France is not giving up. The investigators in charge of the case of the disappearance of flight MH370 of Malaysia Airlines hope to soon go to the United States where crucial investigations must move forward, Ghyslain Wattrelos, who lost four family members in the disaster, announced Thursday. On March 8, 2014, 239 people disappeared after taking off from Kuala Lumpur aboard a Boeing bound for Beijing. Other than some debris that seem to belong to it were recovered in the Indian Ocean, no trace of the 239 passengers has ever been found. Ghyslain Wattrelos has notably lost his wife and two of his children in the plane’s disappearance. On Thursday, he was received with his lawyer Marie Dosé by the judge of instruction in charge of the judicial inquiry opened in France, to take stock of the investigations and the avenues to explore by the investigators. Among the priorities that mobilize the investigators, a trip to the United States is “back on the agenda”. A previous trip was cancelled in September, even though it was part of an international rogatory commission launched in October 2017, they announced at a press conference Thursday. According to Dosé, this trip had to be canceled, as the US authorities opposed “confidentiality clauses” and then the “industrial secret” of the manufacturer Boeing. “We are a little angry and now we want to say stop, it is time that the United States really cooperate on this issue,” responded Ghyslain Wattrelos. “It is necessary to go there because there are three entities that hold important information for understanding what happened on this flight,” he continued. Starting with Boeing and the FBI, even if the investigators seem to have obtained assurances from the intelligence agency that they could be received, he said. 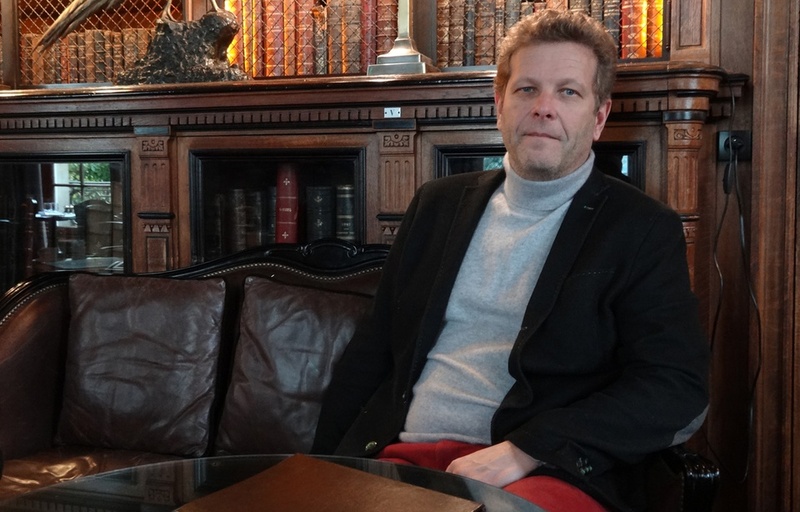 The release of the Malaysian investigation report in July had dampened Ghyslain Wattrelos’ hopes, but since then French investigators have suggested new theories to explore. In particular, the investigators found “inconsistencies” in the Malaysian investigation’s official report, and the presence of “curious” passengers, whom “we should continue to investigate”. Among them is a Malaysian traveler with a troubling profile: he was seated under the Satcom module, and proved to be an expert in aeronautics, according to Ghyslain Wattrelos and his lawyer. It’s not clear what additional information the French investigators expect to obtain while in the US. Boeing has cooperated with the Annex 13 investigation team, and is unlikely to provide private French investigators with data that has not already been made public. Meanwhile, the FBI is unlikely to release information on matters related to ongoing or past investigations. The mysterious “third entity” referred to by Mr Wattrelos that might be selling software capable of maliciously altering SATCOM data is also unknown, although there are a handful of companies in the US and Canada that supply hardware and software for designing, building, and testing parts of the Inmarsat network. Independent investigators that are studying this mystery are at an impasse. Although the overwhelming consensus is that MH370 did indeed crash in the Southern Indian Ocean, the considerable efforts of official and private investigators have not succeeded in locating the debris field on the seabed. The data we have, notably the satellite data, is imprecise, so additional data is needed to reconstruct the trajectory of the plane. There is always the chance that during Mr Wattrelos’ visit to the US, some new evidence or insights will be uncovered that help us to better understand the disappearance and to find the plane. More likely, the existence of helpful new information will be found in Malaysia. The following article, translated from French, was published in the L’Essor, which is the [unofficial, self-described] French journal for the military police. The investigators of the research section (SR) of the Gendarmerie Air Transport (GTA) are waiting for the green light from US authorities to travel to the United States related to the case of the disappearance of the flight MH370 Malaysia airlines, more than four years ago. The SR of the GTA is responsible for the judicial inquiry, opened in France, on the death of 239 people, including four French, aboard the Boeing who disappeared on March 8, 2014 after taking off from Kuala Lumpur for Beijing. Debris likely to belong to the aircraft have been discovered in the Indian Ocean but no trace of the 239 passengers has ever been found. The gendarmes work within the framework of an international rogatory commission launched in October 2017 by the French justice. A trip to the United States, scheduled for September, had to be canceled and French investigators are waiting for the green light from the US authorities. The investigators want to check overseas if a US company sells software capable of reprogramming or even hacking the Satcom. This system is used by airlines to transmit messages about the state of the aircraft in flight and its communications. This story, if true, suggests that the French judiciary system, and in turn the military police that are assigned to the case, are seriously considering whether the Inmarsat data was corrupted by a malicious intrusion into the SATCOM onboard MH370. 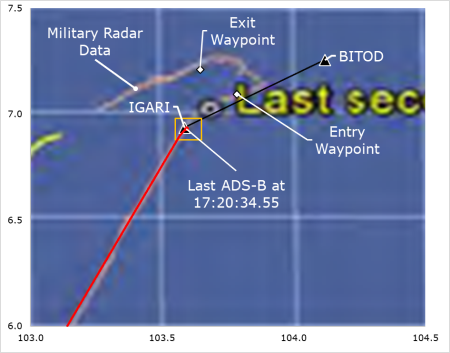 Considering that the Inmarsat data is consistent with the aircraft crashing in the SIO near the 7th arc, and that the timing and location of the recovered parts from the aircraft also suggest that the aircraft crashed in the SIO, to doubt the Inmarsat data implies doubting the veracity of the recovered parts. This is the first time a government investigative body is known to be seriously considering a hack of the SATCOM combined with planting of debris. To say the least, most private investigators believe there are more productive avenues to pursue. However, an honest, competent investigation of any type is to be welcomed, and there is always the chance some new evidence or insights will be uncovered that help us to better understand the disappearance and to find the plane.